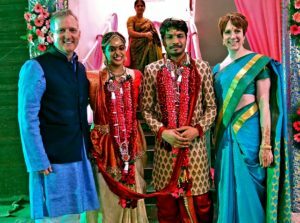 In March 2018 my wife Sara and I went to India to attend the wedding of a friend. I was amazed at the friendliness and welcoming attitude of the people, across the board. It is customary for a person to place their hands palms together over their heart, bow slightly and say “Namaste”. I’ve repeated that to yoga instructors before, but I wanted to know the deeper meaning. I learned it means literally, “the divine in me recognizes the divine in you”. Creates a different attitude when interacting with someone else, doesn’t it?